I think just about everyone fears death at some level. For many it is the uncertainty of what happens. For others it is the worry of what will happen to others when they are gone. 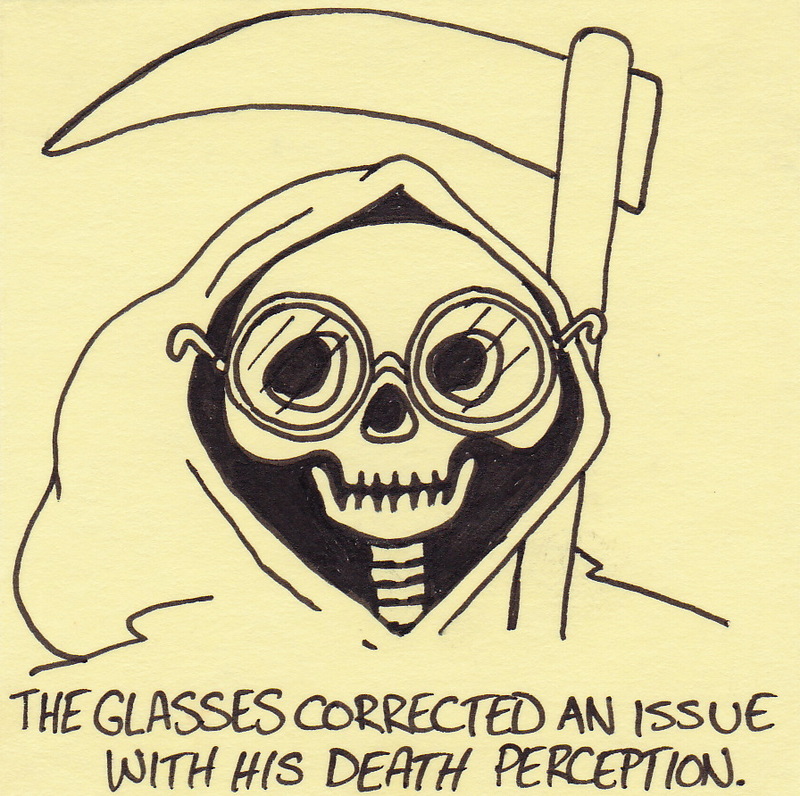 Whatever your fears are surrounding death, try imagining him wearing Harry Potter glasses. It makes him seem almost cute. 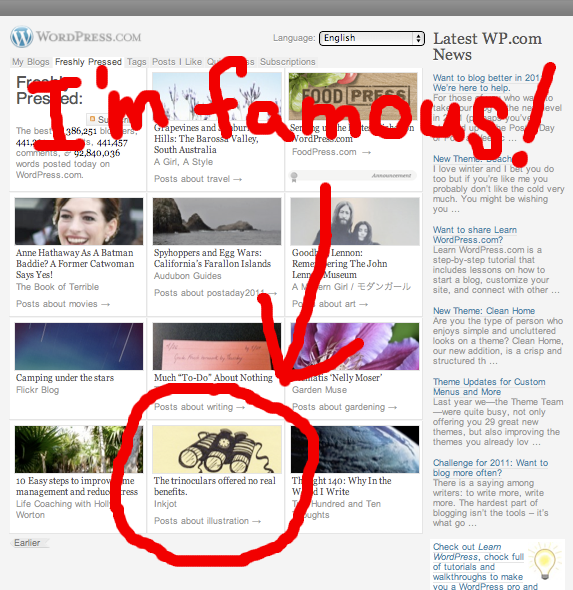 I guess the big news of the day is that I was freshly pressed by wordpress yesterday! Anyway, I was shocked/amazed/unable-to-believe that one of my own little sticky note drawings was sitting on the wordpress homepage. What a trip! It’s nice to know she’s paying attention. 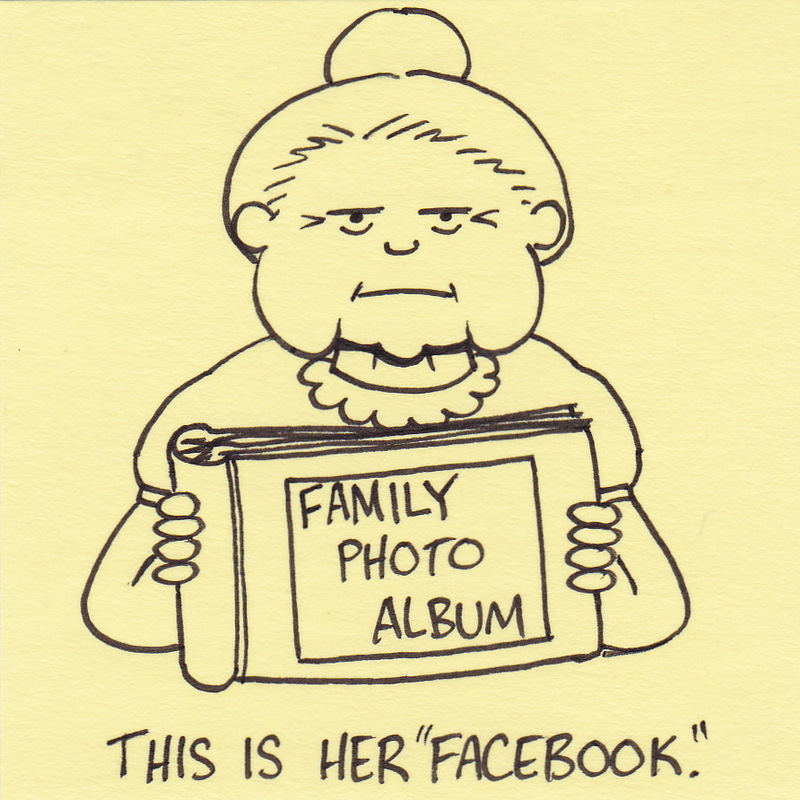 Am I the last person on the face of the earth that is not on facebook? I’m starting to feel like it. Apparently, many people even have facebook pages for their pets (click here to read the article on CNN). Frankly, I don’t think I’m missing out on much. 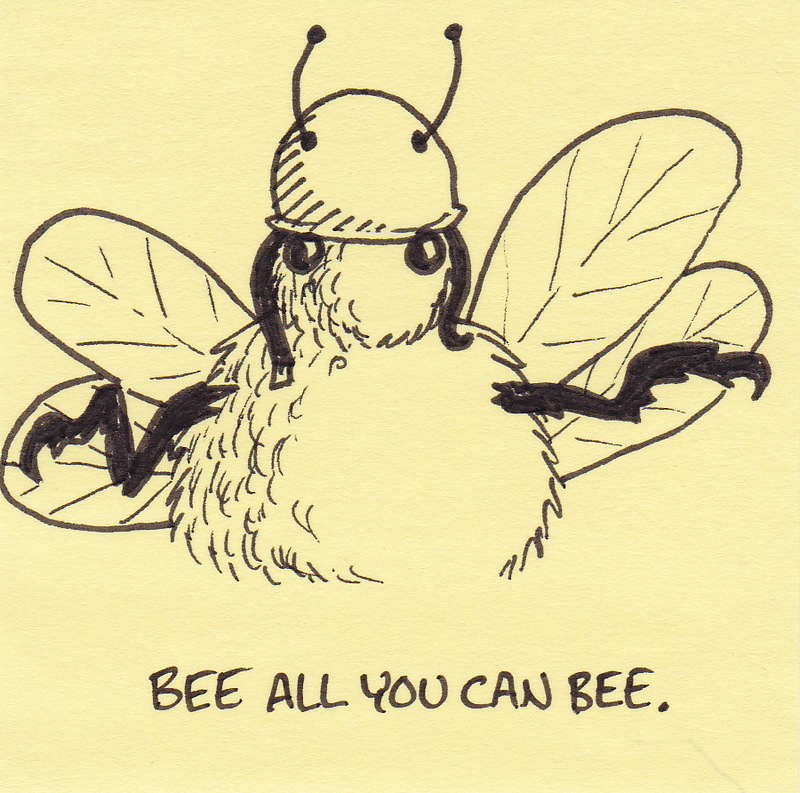 Bee all you can bee. It’s post number 150 and it’s time for some blog stats! Different visitor countries of origin = 57 (United States, United Kingdom, Canada, Brazil, Malaysia, Russian Federation, Taiwan, Belgium, Hong Kong, Pakistan, Turkey, Romania, Israel, Australia, Vietnam, Thailand, Republic of Korea, Singapore, New Zealand, Indonesia, India, Greece, Argentina, Philippines, Denmark, Algeria, Italy, Columbia, Jordan, Lithuania, Ireland, Austria, Norway, France, Netherlands, Poland, Mexico, Armenia, Spain, Brunei Darussalam, United Arab Emirates, Japan, Germany, Ukraine, Trinidad and Tobago, South Africa, China, Oman, Lebanon, Sweden, Bolivia, Virgin Islands, Czech Republic, Serbia, Iceland, and Hungary). 57 countries and I only had to search google for one of them. Sorry Brunei Darussalam, I didn’t even know you existed until today. 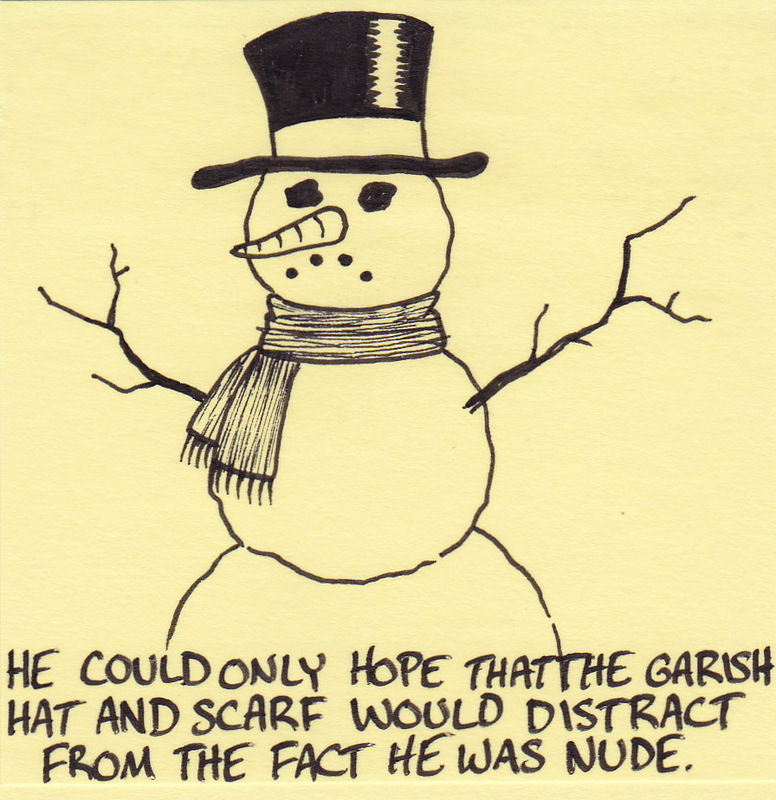 I know I posted a snowman joke just last week, but we finally had a few inches of snow here. The weather has been either too cold or too windy for almost a month. It was (almost) a relief to shovel the driveway last night. 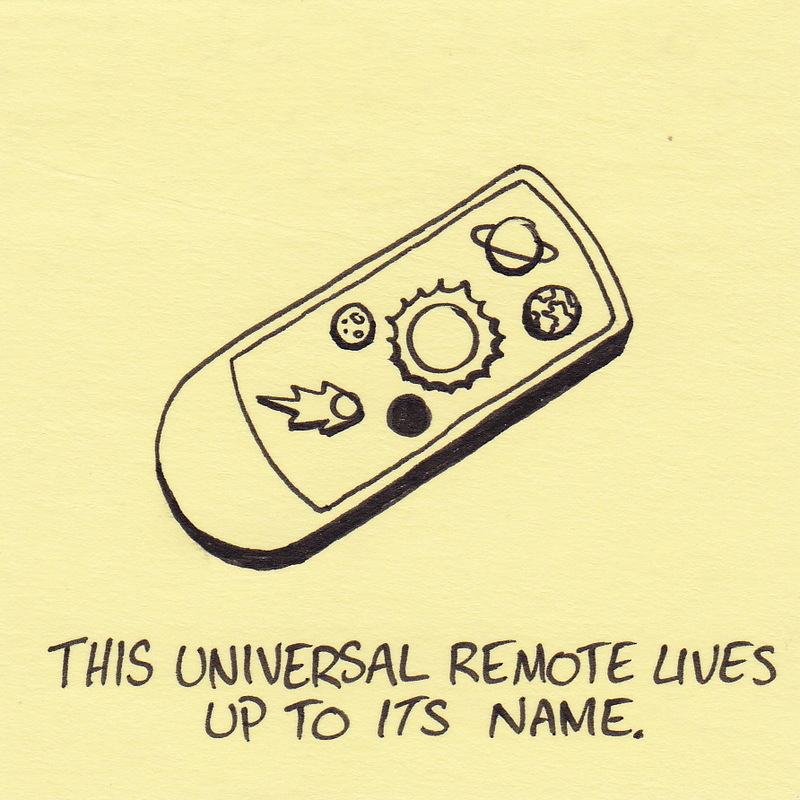 This universal remote lives up to its name. Our family didn’t have a TV that used a remote control until I was in sixth grade. Before that, we actually had to get up and turn the dial to change the channel. Luckily, we didn’t have to do it very often because our antenna only picked up three stations. 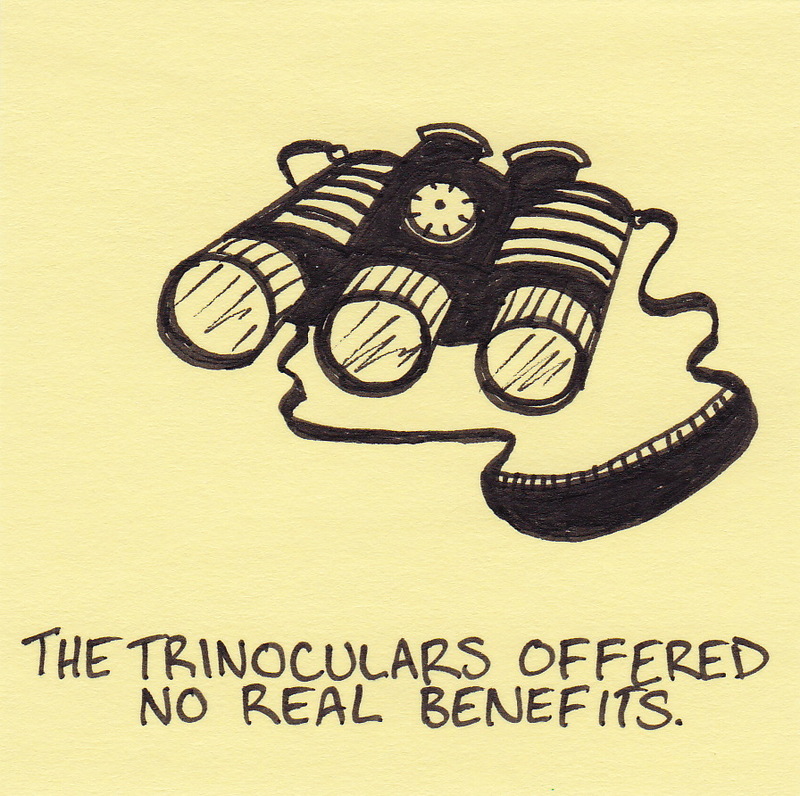 The trinoculars offered no real benefits. My 4 year old daughter is a clever, smart, and overall incredibly intelligent child. She knows her letters and sounds, can read and write simple words, and has even madeup some pretty funny jokes all by herself. Every time she gets ahold of my binoculars she insists on holding them backwards (so that things seem far away instead of closer) AND THEN she walks into things because they look so far away. Every. Single. Time. You are currently browsing the Inkjot blog archives for January, 2011.